90% of all educated, affluent women will be required to handle their own finances at some point in their adult life, for good reasons and bad – like success at work, death or divorce. 100% of us should be doing this anyway, because understanding and planning carefully for our financial future is the smart thing to do. 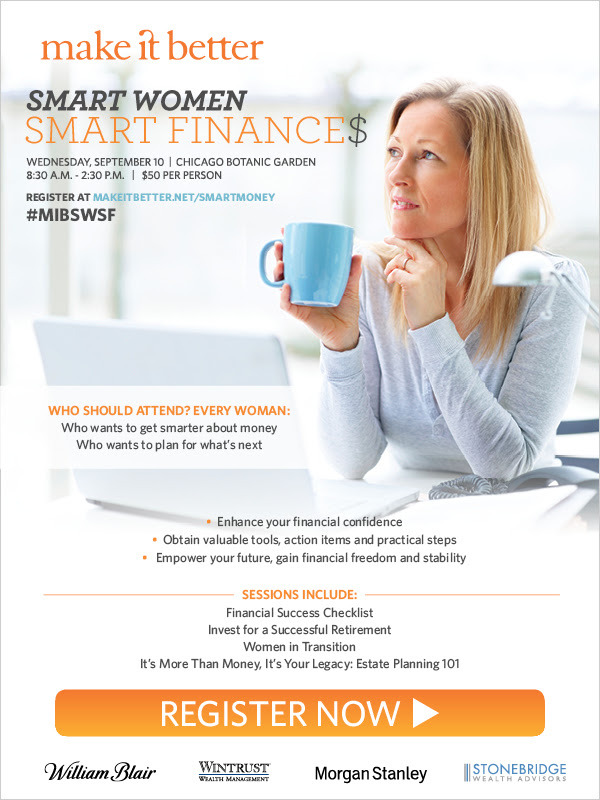 So Make It Better is making it easier for our audience to do this, with our “Smart Women, Smart Finances” Seminar at the Chicago Botanic Garden on Wednesday, September 10 at 8:30am. This program is NOT your average financial seminar. 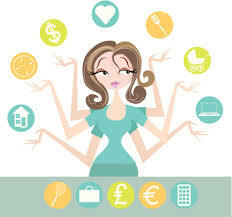 Rather, it is custom designed to provide engaging, empowering, and useful information in the company of others with similar concerns and opportunities in life.Smart Women, Smart Finances was developed out of my partner, Mindy Fauntleroy’s frustrations in trying to get a grip on her personal finances. She felt that every financial service provider talked in a language that didn’t relate to her as a woman. So she collaborated with her favorite resources and came up with a program that speaks to all of the issues that she faces and believes that other women face too. Please sign up and come learn with us. You can purchase tickets here. We are trying to make it better for you! See below for details.